How much is Petra Ecclestone Worth? Petra Ecclestone net worth: Petra Ecclestone is a British-born heiress, model, fashion designer and socialite who has a net worth of $600 million. This might seem like a surprisingly large net worth, but maybe not if you remember that she is the daughter of famous billionaire Formula One exec Bernie Ecclestone. Her mother is Slavica, a famous former Croatian model and her sister is Tamara Ecclestone. Her career and life's calling, however, is that of a fashion designer. Somewhat interestingly, Ecclestone has chosen to focus on designing menswear, citing as a reason for this that "womens wear was too saturated." She is also a self-described "health freak" ever since contracting viral meningitis at the age of 14. Also as a result of her viral meningitis, she is an ambassador for the Meningitis Trust health organization. At the age of 19, Ecclestone started the menswear label FORM, which folded after 14 months in operation. In 2009, she closed a deal with the Croatian clothing company Siscia. 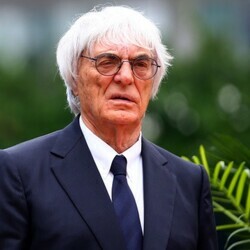 Ecclestone's personal life hasn't been strictly personal, as is often the case with wealthy heiresses. However, both she and her fiancé describe themselves as "virtual teetotalers," so she's not quite the tabloid fodder that certain other wealthy heiresses are. No matter what her future business ventures turn out to be, Petra Ecclestone's business acumen is something to be admired, especially when you consider that she had the choice to simply not work at all, thanks to her wealthy family. In 2011, Petra bought the Spelling mansion in Beverly Hills for a solid $85 million. In 2010 she bought a mansion in London for $90 million. Petra was married to James Stunt from 2011 til 2017. They had three children together.